H.E. Marcel de SOUZA, (right) and H.E. Jorge SANTOS, President, Cape Verde Parliament when he pays President, ECOWAS Commission courtesy visit in Abuja, 10 May 2017. H.E. 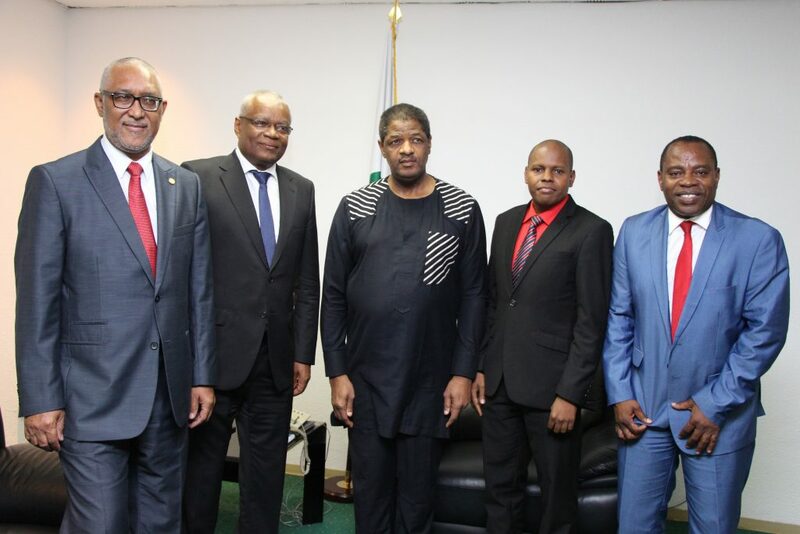 Marcel de SOUZA, (3rd and 2nd from right) and H.E. 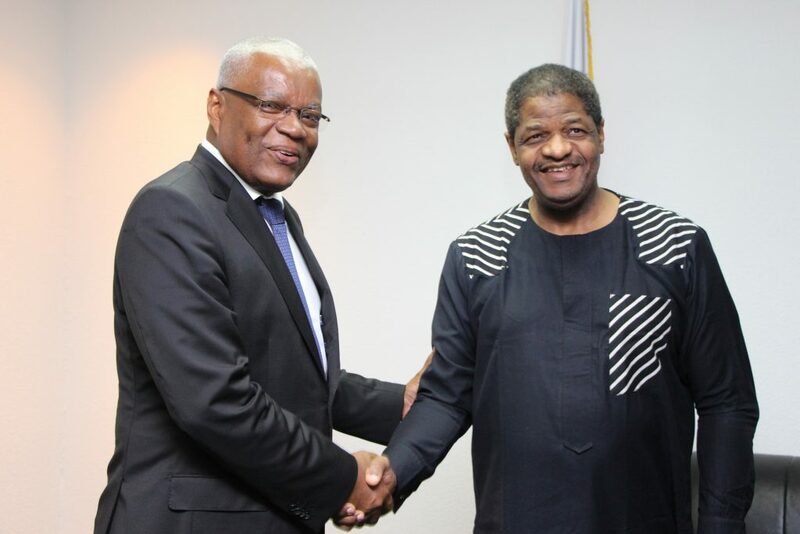 Jorge SANTOS, President, Cape Verde Parliament flanked by Parliamentarians from Cape Verde and ECOWAS Commissioner for Telecommunications and Information Technology, Dr Isaias Barreto da Rosa. Abuja, 10 May 2017.